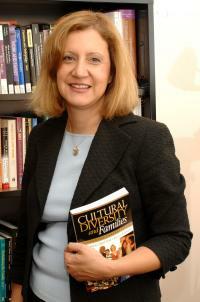 Dr. Bahira Sherif Trask is a professor of Human Development and Family Studies at the University of Delaware. Bahira’s current research focuses on the relationship between globalization and family change in Western and non-Western contexts. Primarily she concentrates on economic changes, work and gender roles, and policies that can assist and strengthen low income families.